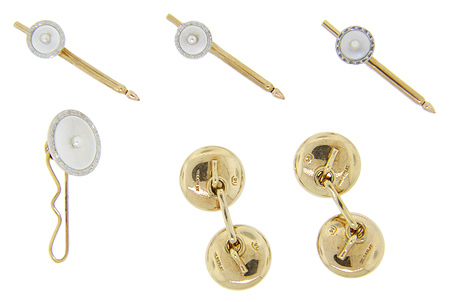 This amazing antique stud set is crafted of 14K yellow gold. 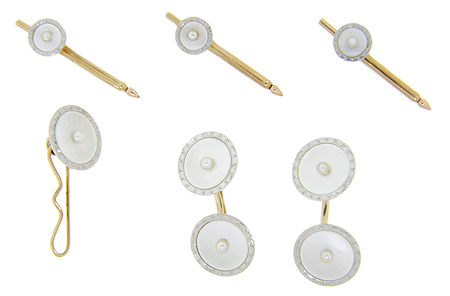 The faces of the cuff links and studs are ringed with engraved platinum and feature pearls set in white mother-of-pearl. The cuff links and large stud measure 5/8” in diameter while the smaller studs measure 5/16” in diameter. Circa: 1900.